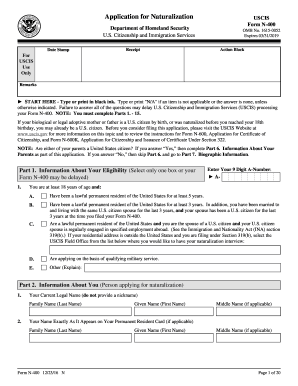 400 Instructions is not the form you're looking for?Search for another form here. 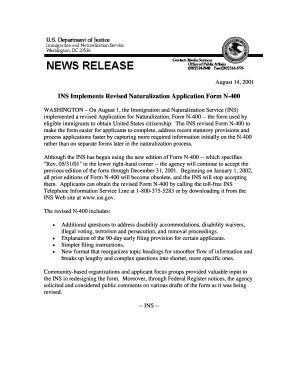 E-Notification: If you are filing your Form N-400 at one of the USCIS Lockbox ... 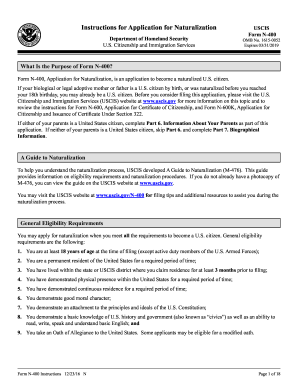 The Form N-400 application instructions often refer to information in the Guide. 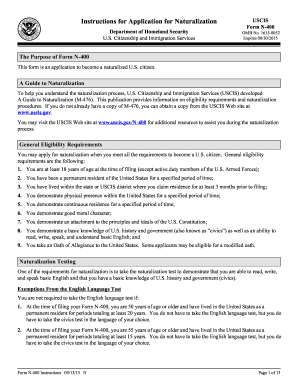 Which version of USCIS N-400 would you like to use?